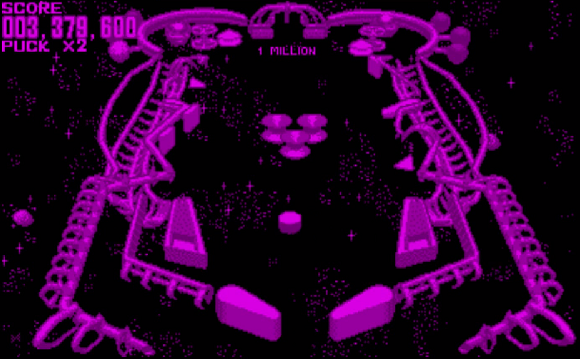 It's got four different space-themed pinball tables which all have a variety of nifty events and the occasional minigame. As far as pinball goes, Galactic Pinball is pretty good. However, pinball as a genre still feels to me to be a bit unfair. Rarely does losing feel like a result of something you did wrong, but instead a result of an unfortunate bounce into an unsalvageable angle. There's not much else to say about it. This is what you'd expect Tetris to turn into when you bring it onto a 3D console. 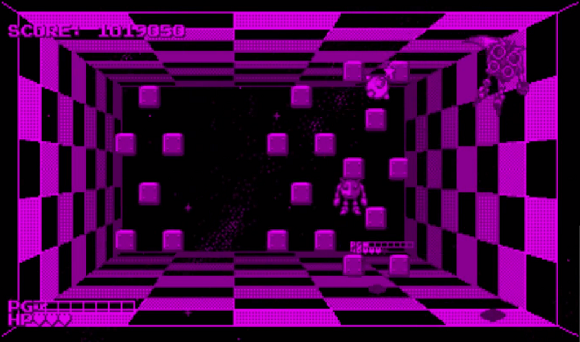 Rather than normal tiles dropping into a 2D playing field, 3D Tetris is played looking into an empty column-shaped space with the goal being filling up complete layers with the falling blocks. There's that standard mode, then there's a similar mode where you're supposed to make symmetrical designs instead. In addition to those modes, there's a puzzle mode where the goal is to construct various 3D objects using the predetermined set of pieces at your disposal. This is aided by being able to see the layout of each layer on the right side of the screen. Puzzle mode is only twenty levels long, but it offers some challenge and a more concrete goal than simply going after a high score. Teleroboxer is essentially 3D Punch-Out!! with robots. You use the Virtual Boy controller's dual D-Pads to block with each hand and in combination with the triggers to punch in different ways. Each battle has a trick to it that will help you win, but figuring these out can be a big pain. Even when you do know what to do, actually pulling it off is very challenging thanks to the controls having a bit of a learning curve. 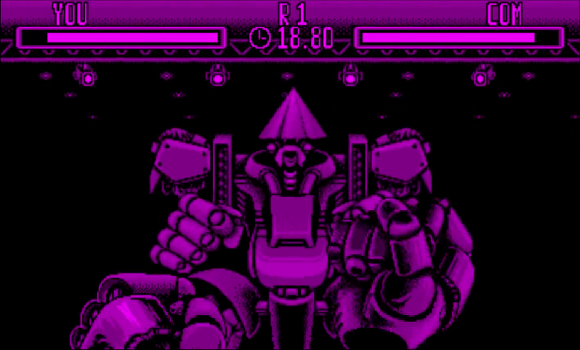 The game features actual save files, but if you want to fight the final boss, you'll have to get through each fight without losing, either by deleting your file every time you lose or quickly resetting the console before it saves. It's a decent game, but wrestling with the controls and unintuitive enemy weaknesses can be frustrating. Remember the old Mario Bros. where the goal was to knock out all the enemies on the screen over and over for as long as you could? Mario Clash is basically the sequel no one wanted to that game. Now the stages are three dimensional and to knock out the enemies you have to throw koopa shells across the stage at them. It goes on forever, but after about forty stages it doesn't really get any harder. You can also start from any stage up to forty, but if you're going for a high score (there's nothing else to go for), it won't really help you. The game itself is okay, or it would be, if it wasn't for several annoyances. For one, it's more difficult than necessary to line up where your thrown koopa shell will actually go. For two, the jumping physics aren't as glorious as you'd expect from a Mario game. For three, ice levels make these physics even worse. For four, almost every new enemy type adds more annoyance than challenge (that darn one that can duplicate itself if you leave it alone too long). I'm starting to wonder if it was a mistake putting this game this high on the list. It's a horror FPS game! It's not really that horrific, but it's pretty darn fun to play. You have to race through a maze of hallways, avoiding or shooting monsters, while looking for a randomly placed key and/or the two orbs that'll help you find it by filling in the map. It's fast-paced and fun to play repeatedly thanks to the randomized locations of the items. 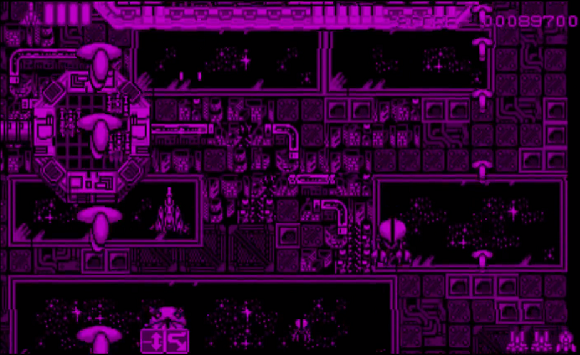 It also has branching paths of levels according to how quickly you finish, as well as four different endings. The main issue with the game is its extreme simplicity and short length. It's your standard shmup, but now you can switch between two depths to avoid obstacles and go after different enemies. 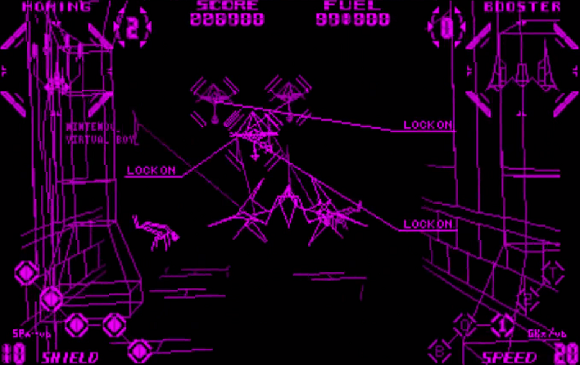 Apart from that, it's what you'd expect: powerups, shooting, and explosions. The main other unique thing is that you can get different drones to follow you around which can be cycled through strategically and put into reserve to refill their health. Even though Vertical Force doesn't do a whole lot that's new and is fairly short, it does have a few difficulty settings and is pretty fun to play. Sometimes having stuff going on on two different layers can be too chaotic to see what's happening though. 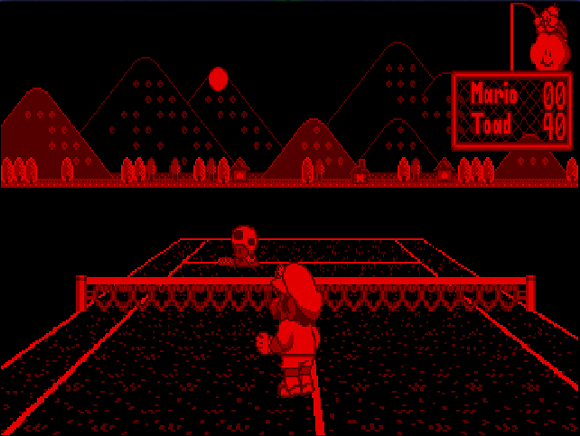 After playing the other sports games, I was able to appreciate the ease of control available in Mario's Tennis. You can hit high, you can hit low, you can aim to the sides... and, well, I guess that's about it. But it's fun and it's Mario and the music is good. Seriously, the one track sounds like something from Kirby and music doesn't get much better than that. There are seven different characters which all have different stats, so that's nice. Unfortunately, all there really is to do in the game is singles tournaments and doubles tournaments. It would've been multiplayer too if the link cable was ever actually released, but alas, it wasn't. It's egregiously lacking in content, but the gameplay is solid and fun enough to keep it high on the list. It may be based on the sport of squash, but it's more like a variation on 3D Pong. Now, I know Pong is pretty simple, but Space Squash really takes it to the next level by having various obstacles in the 3D space, a variety of differently sized play areas, and by allowing you to win by either getting the ball past your opponent or by hitting your opponent enough times (sometimes they'll just fail to hit the ball back). There are also powerups for stronger hits or more points. As usual for Virtual Boy games, the game isn't that long, but it has a bit more replay value thanks to branching paths of different stages. No matter what path you take, the bosses are the same though. Oh yeah, there are bosses. For them, you have to hit and deplete their HP to win rather than get the ball past them. They can be pretty tough because missing the ball once will reset their HP and lose you a life. Also, the game has a limited number of continues, so it can be a pain if you game over. Still, Space Squash is a surprisingly fun and well thought out game. This one has you playing as either Jack Frost, Jack Lantern, or Jack Skelton as they race to get back to the fairy realm before time runs out. 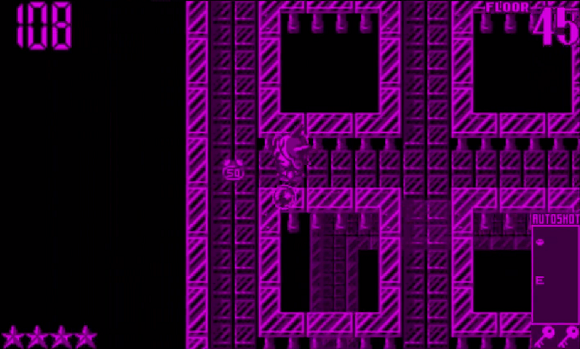 The game plays out from a top-down view of maze-like levels in which you must find keys and then drop down to the level below. There are some minor puzzle elements, but it's mostly shooting enemies, avoiding traps, and going as fast as you can safely manage. You have to play it safe because your time limit is also your health and any hit will decrease your time. The ultimate goal is to get to the bottom level and fight the boss, which isn't always easy. There are unlimited continues, but dying makes you start the entire stage over. There's really not much wrong with this game at all except that it's unfortunately short with only six stages. It does have a secret hard mode though for SUPER PLAYERS. It's a 3D space shooter like Star Fox! The wire frame graphics might be a turn off for some, but you'd be missing out if you skipped over Red Alarm for that reason. Flying around feels great thanks to your ability to turn completely around and even "strafe" in mid-air. As usual, this is another short game and has limited continues, but it also has multiple difficulties to attempt. 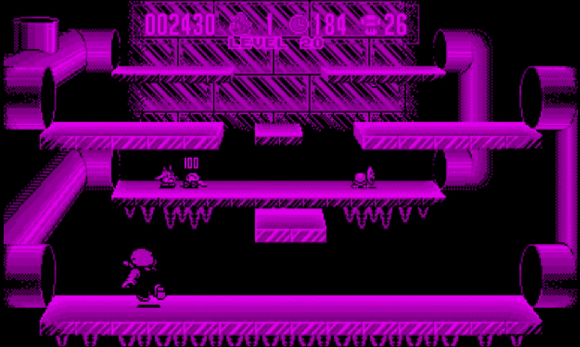 Each level features a completely different style and a wide variety of enemies, as well as a boss battle at the end of the stage. The graphics even work quite well for the most part, only getting confusing during the few times when you have to make 90 degree turns. Fans of Star Fox should definitely check this one out. Once again, this one is sadly short, but every minute of it is oh-so-sweet. 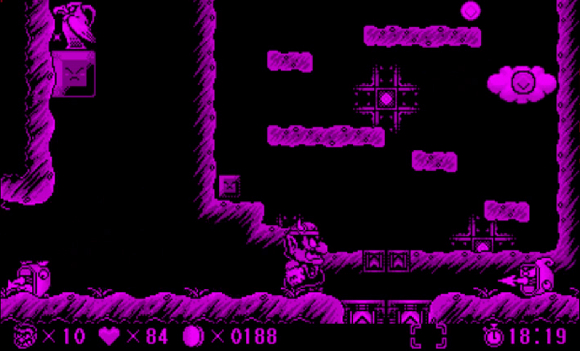 It's good old platforming with the Wario spin of tasking you with searching for a key needed to finish each level and, optionally, a large hidden treasure in each level. Getting all of the treasures unlocks a hard mode which adds spike blocks all over the place. There are also multiple endings according to how quickly you finish and whether you found all of the treasures or not. 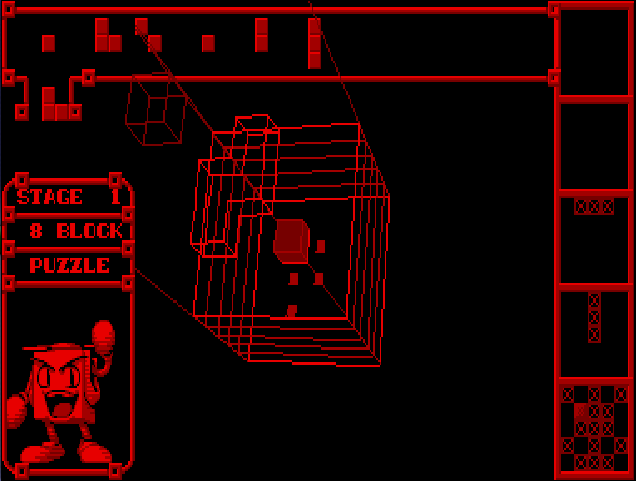 Since it's a Virtual Boy game, it also has the nifty gimmick of being able to jump into the background by using a special kind of block. It's also worth noting that the animation in this game is incredibly smooth - I don't know if it has more frames than usual or what, but it's noticeable. If I had to nitpick, the only complaints I have about this game are that you can't easily skip back to previous levels and that the game is still too short. In spite of those things, after beating every game on Virtual Boy, I still think that Virtual Boy Wario Land stands out as the best.